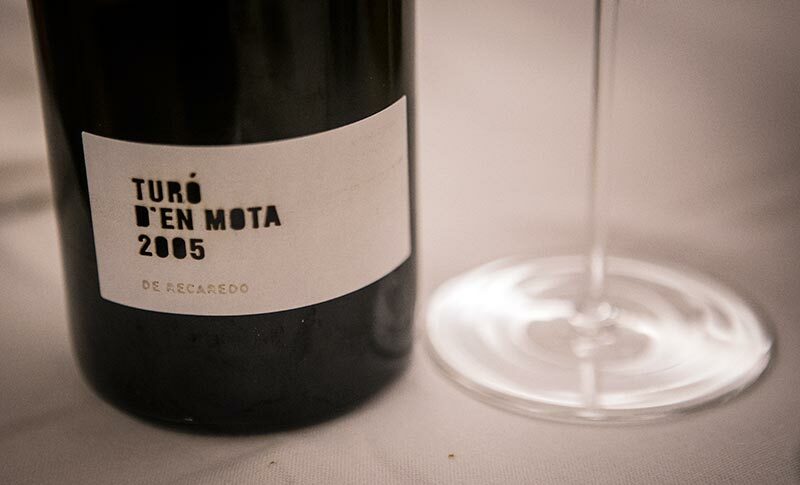 If you know Cava and you don’t know the Turó d’en Mota from Recaredo, then you may be displeased to learn that you really don’t know Cava. This lengthy-aged sparkling wine from a single vineyard embodies everything that Cava can potentially be. Oh, so that means it’s like a top Champagne then? No, it’s nothing like a Champagne, nor should it be as Cava is produced some 900km south of the acclaimed French region rom wholly different grapes. Thus, you need to realign your senses and redefine just how good the sparkling wines can be from this Catalan region when you get your head out of that Cava gutter full of bottles less than 10€! I consider myself blessed to have been invited to the tasting for the release of their “newest” vintage of Turó d’en Mota and by “newest” I mean, 2005. They typically do more than a decade of bottle aging before releasing this wine and it shows just how bulletproof and luscious the Xarel·lo grape, which is the only one they use for the wine, can be. They are quite peculiar about the releases and only put it to market when they find it to be ready thus why we’re seeing 2005 being released before 2004. The single vineyard of 76 year-old Xarel·lo bush vines is 0.97ha in size and farmed completely biodynamic. In typical years, they see about 7,000kg/ha but as Ton Mata (the newest generation to run the family cellar) mentioned during the presentation of the wine, 2016 was extremely difficult for Penedès and they saw nearly half that at 3,800kg/ha. Despite this, they soldier on and only produce 2,000 or less bottles of the wine each year and yes, this wine will be a Cava de Paratge (essentially “single estate cava”) in the near future. For the tasting, they used Zalto Universal glasses as no one these days serves aged sparkling wines in flutes. The bubbles are really secondary as you get in on years and you can’t fully appreciate the aromatics of these refined wines. They spoiled the hell out of those of us in attendance as not only was the 2005 free flowing but they even opened up a number of bottles of the 1999 which was the first vintage of this wine after they bought the vineyard in 1998. As Ton stated, “No one knows the limits for aging Xarel·lo yet.” and given the strength of this 18 year-old sparkling wine, I would fully agree. Candied pear, orange peel, light limestone, and a bit of herbal laurel notes as well as lime peel. Earthy, lemony citrus zest, and caramelized fruits on the palate. Brilliant, lively acidity and a long, long finish with light bitter almond notes. Doesn’t have the width of say, 2003 but is more persistent and fills out the mouth as it opens. Two months in barrel and from a very hot, dry year. Lively straw and golden hues and impressive color overall. Mature pear, white peach, lime, creamy without being leesy, touch of wood and mushroom, and lightly oxidative but only the slightest bit. Quite grippy on the palate with wonderful structure, texture, and no end of persistence and length. Grows in perfumed aromatic notes the longer it’s open.